Capacity: 1 to 20 Tons. 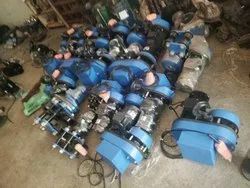 TRALIFT Chain Hoist are used to lift and transfer the loads.The hoist is designed for permanent installation ona jib crane, or on motorized or non-motorized trolley or beam clamp or other suitable anchoring mechanism. They are suitable for handling heavy objects while reducing the physical effort of the user. Both Push-Pull and Geared hand operated Travelling Trolleys are available. These trolleys fit well with Morris Chain Pulley blocks and can even negotiate through a small radius of curvature. - Safex Chain hoist is compact in design, ruggedly engineered for safety, reliability, and long life and easy in maintenance. 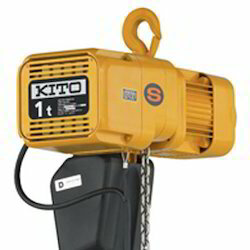 Safex Electric Chain Hoists provided a range of capacities, lifting height, suspension methods. We are offering a wide range of Manual Chain Hoist. Our range is made from high quality raw materials which ensures high durability at its user end. It can be used in machine installation, products lifting and loading and unloading in industry, agriculture. construction and mineral production. Our range widely finds its valuable application in various industrial sectors.